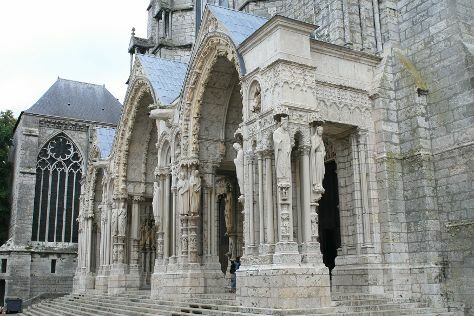 Step off the beaten path and head to Chartres Cathedral and Le Marais. Change things up with these side-trips from Paris: Domaine of Villarceaux (in Chaussy), Champagne Tarlant (in Oeuilly) and Champagne Alain Mercier et Fils (in Passy-sur-Marne). And it doesn't end there: examine the collection at Musee Rodin, indulge your taste buds at Champagne Piot Sevillano, step into the grandiose world of Chateau de Fontainebleau, and take in nature's colorful creations at Jardin des Tuileries. If you are flying in from Argentina, the closest major airports are Paris-Orly Airport, Charles de Gaulle International Airport and Paris Beauvais Tillé Airport. January in Paris sees daily highs of 8°C and lows of 1°C at night. Cap off your sightseeing on the 25th (Fri) early enough to travel back home.